OMG! 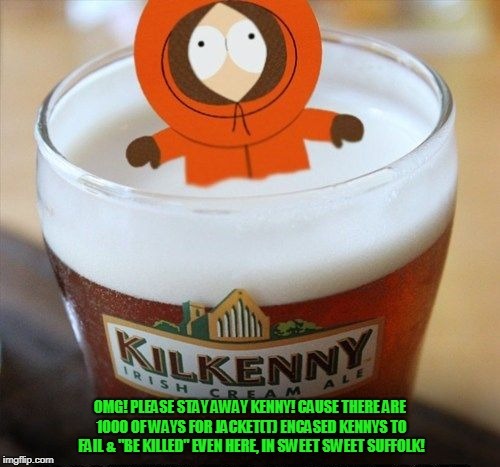 PLEASE STAY AWAY KENNY! CAUSE THERE ARE 1000 OF WAYS FOR JACKET(T) ENCASED KENNYS TO FAIL & "BE KILLED" EVEN HERE, IN SWEET SWEET SUFFOLK!